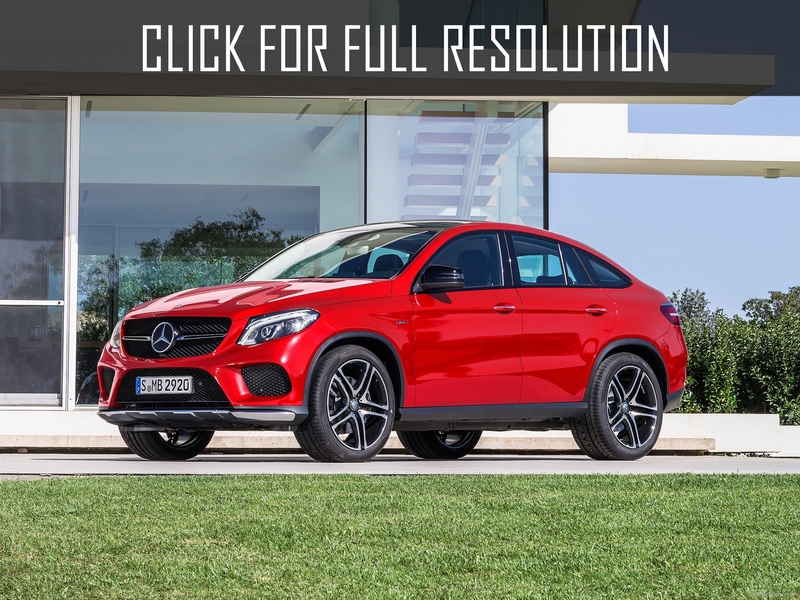 The new GLE lineup by Mercedes-Benz stands out with 367 HP engined 2016 Mercedes-Benz GLE 450 AMG Coupe which like many other Mercedes-AMG versions, the novelty offers a combination of exceptional comfort with premium trim and decent performance. 2016 Mercedes-Benz GLE 450 AMG Coupe came to replace M-Class becoming the first in a line of GLE with performance of AMG and equipped with six-cylindered V-shaped Bi-turbo engine. Power unit of 2016 Mercedes-Benz GLE 450 AMG Coupe develops 367 HP with torque of 520 Newton metres and works in conjunction with 9-speed automatic transmission that transmits torque to all wheels - 4Matic. External differences are new front bumpers with large air intakes as well as painted body color spoiler on the trunk and the special colorful design of 21-inch standard alloy wheels. 22-inch wheels are available as an option. 2016 Mercedes-Benz GLE 450 AMG Coupe "Sport" and "Sport +" settings give maximum sporty performance, Comfort provides a quiet and economical operating mode, selection of "Slippery" designed to drive on slippery road surfaces, and "Individual" allows the owner to program and save individual settings into the system memory. The price in the native market, Germany became known in early March 2015. With VAT, 2016 Mercedes-Benz GLE 450 AMG Coupe will cost minimum 75803 euros.